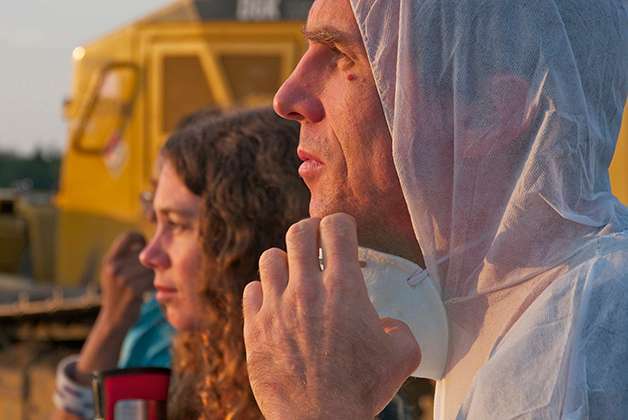 On August 11th, members of Toronto350.org joined the Community Response Unit for Decontaminating our Environment (CRUDE) team to blockade an Enbridge Line 9 work site. 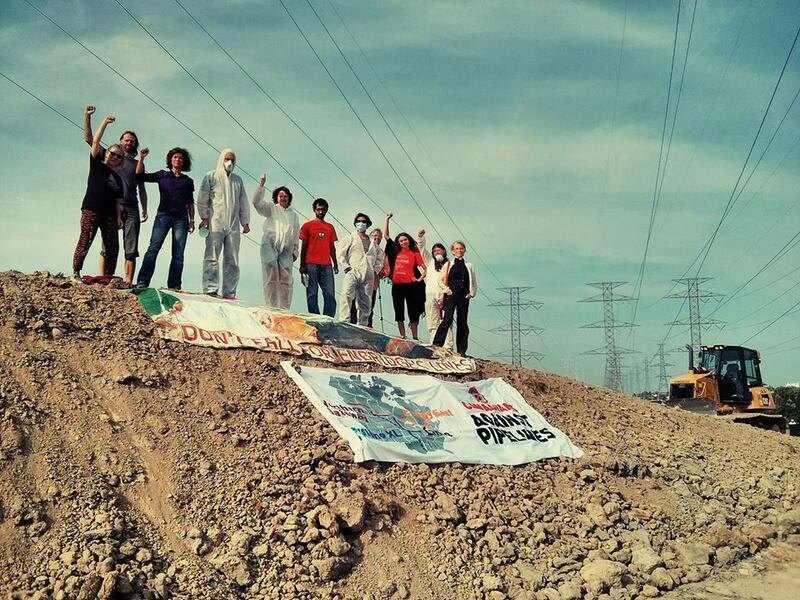 The group’s action is in support of the work stoppage near Innerkip, Ontario, that was evicted yesterday and is part of a broader fight against the Line 9 reversal. At both Innerkip and North York sites, Enbridge is doing work that is necessary before the company can bring the reversal of Line 9 into operation. The reversal of flow is set to transport tar sands bitumen and Bakken crude through Ontario. Throughout the summer, concerned community members throughout the region have been engaging in actions to prevent the completion of the work, in order to stop the pipeline from being turned on. Toronto350.org sent out two press releases accompanying the action. First press release. Second press release.